Spokane Deportation refers to the expulsion of an alien from the United States on the grounds of inadmissibility or deportability, such as an overstayed visa and unauthorized work. - Being considered inadmissible in accordance with immigration laws at the time of entry to Spokane or an inadmissible alien by the time he has adjusted his nonimmigrant status. condition of entry into the U.S.
-The immigrant’s conditional permanent residence has been terminated and lapsed. Cases pertaining to illegal entrants and immigration violators, the Exclusion v. Deportation Removal, depends on the concept of admission. If removed upon arrival (excluded), an alien previously removed is banned for 5 years. If deported, he will be denied access for 10 years. Those who enter illegally are now subject to inadmissibility grounds. This is significant because inadmissibility grounds are much more in the government’s favor than deportability grounds. Upon re-entry, inadmissibility grounds will still be applicable. In the unfortunate case where the alien has been ordered Spokane Deportation, he is given thirty (30) days to file an appeal to the Board of Immigration Appeals (BIA). If the BIA convenes and decides against the alien, the alien is left withan option to further appeal to the corresponding U.S. Court of Appeals. Since the removal is a legal process, a deportable alien should not forget that he still has legal rights before being removed. He can always prove that he is not inadmissible and hopefully reverse the decision on his advantage. He may also consult an immigration expert on how to avail the right to challenge the removal itself on procedural or constitutional grounds. As a consequence, any alien who is subject to deportation proceedings must speak to an experienced immigration attorney. 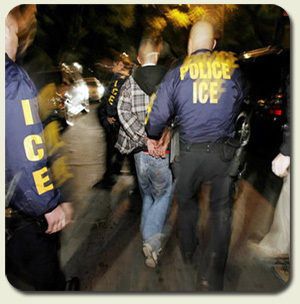 The expertise of an immigration legal team is without a doubt helpful. The lawyer can provide insights on the explanation of the gravity of a Spokane Deportation case, telling the immigrant the facts of the case. For your immigration related concerns, you may contact the Quiroga Law Office, PLLC, at (509) 560-7051. Or email Hector Quiroga, a Spokane deportation Lawyer, here.